Star S5230 And Preston S5600 Are The Latest Model Mobiles From Samsung ! 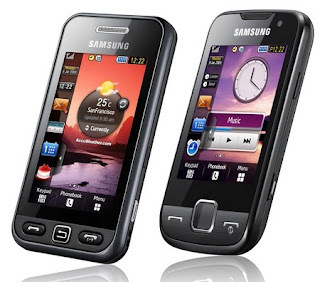 samsung-releases-another-eco-friendly-lcd-monitor/">Samsung has launched its latest two different model mobile phones, Star S5230 and Preston S5600. The both models are samsung-launches-its-slider-mobile-ultratouch-s8300/">TouchWiz phones. The Star S5230 has come out with a 3-inch touchscreen in other side Preston S5600 has brought a 2.8-inchlenova-boasts-slide-out-touchscreen-mobile-x1/"> touchscreen. However, both modelsworlds-thinnest-qwerty-keyboard-mobile-pantech-slate/"> feature a 3.2 Megapixel camera with video recording capability, Bluetooth, FM Radio, Music recognition and ultra-slim-mobile-from-nokia-e71/">geature lock. The Star S5230 is supposed to work with Quad-band EDGE network while the Perston S5600 supports HSDPA 3.5 microsoft-brings-facebook-for-your-windows-mobile-6-phone/">High Speed Network.